We specialise in assisting people who have had adverse credit registered and do not currently qualify for a mortgage with high street lenders. We use our 15 years’ experience operating in the adverse credit mortgage market to identify the lowest rate mortgage for you and we have access to all of the lenders in this sector of the mortgage market. 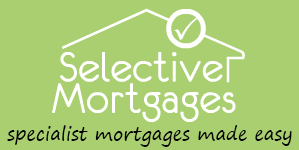 As all client circumstances are different we assess each new enquiry individually to ensure we recommend the most suitable mortgage product that is available to you. Please either complete our Mortgage Enquiry Form or call us today to discuss your mortgage requirements.